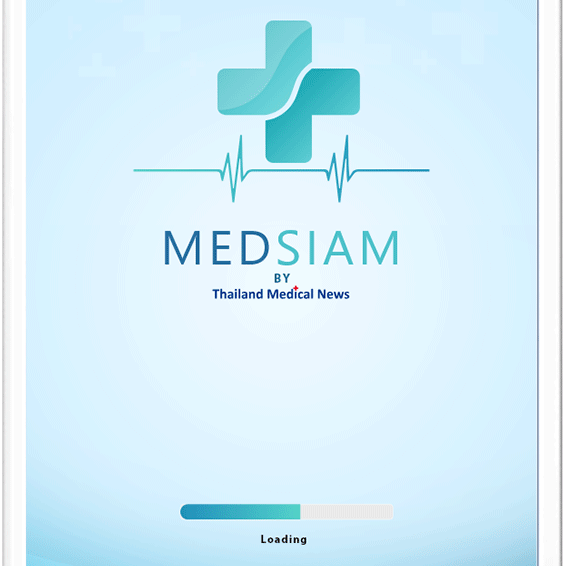 This article has been specially commissioned by Thailand Medical News to bring about awareness and also create caution about the excessive usage of PPIs (Proton Pump Inhibitors) that is over prescribed currrently in Thailand to treat acid reflux conditions. A recent landmark population study by US researchers at the University of California -- San Diego has indicated that Proton pump inhibitors (PPIs) may cause renal dysfunction and a variety of kidney-related diseases. The researchers analyzed complaints from over 43,000 American patients registered in the American Food and Drug Administration (FDA)’s Adverse Effect Reporting System (FAERS), a government database program designed to record negative effects of drugs through self-reporting by patients and physicians. Since their introduction to the US market in the 1980s, PPIs have become a common treatment for gastroesophageal reflux disease (GERD), known colloquially as acid reflux, across the world. In Thailand, the PPI class of drugs is widely prescribed by physicians for patients with gastrointestinal tract problems, most commonly in the form of omeprazole, a generic version of the more well-known brand Prilosec. The discovery of a connection between renal disease and PPI use prompts a wider discussion on the safety of these drugs. In addition to kidney-related problems caused by these medications, a growing body of evidence indicates that PPIs may also cause a host of liver problems, including cancer, as well as ischemic stroke – extremely serious, potentially fatal conditions that warrant more careful consideration by doctors when deciding whether PPI use is suitable for acid reflux treatment. The medical literature indicates a strong connection between the time a patient regularly takes PPIs and the likelihood of serious adverse effects. So, while short-term use can be beneficial, Thai doctors should consider new forms of treatment for patients who have taken these medications for months or years. 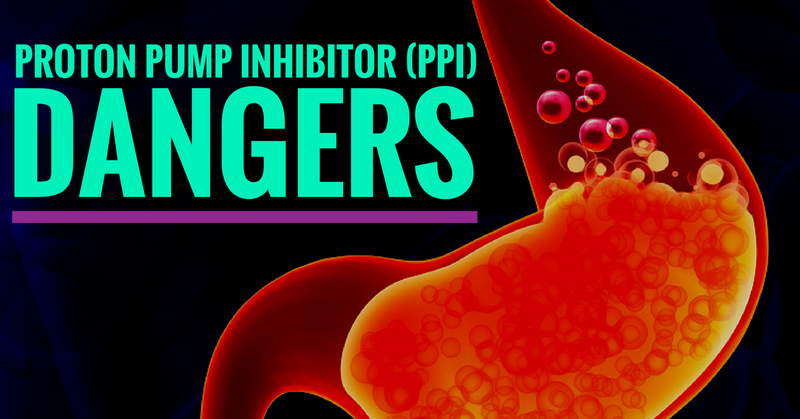 When PPIs were initially approved for medical use in the 1980s, little was known of the extent to which they could potentially cause serious side effects. Prescribers and patients were advised of mostly moderate, easily managed effects like headache or diarrhea. Because in many cases PPIs can be effective in alleviating symptoms of GERD, ulcers, and a variety of other gastrointestinal issues, the benefits at the time seemed to outweigh the cost. Doctors began prescribing PPIs on a large scale, and for over the last 40 years have become one of the most common prescription drugs in the world, including Thailand. Pharmaceutical manufacturers make enormous profits from the sale of proton pump inhibitors. 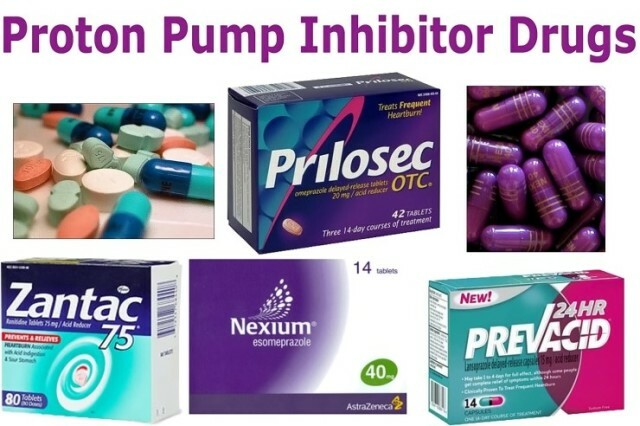 According to a report released by the National Institutes of Health, “more than 15 million Americans used prescription PPIs in 2013, costing more than $10 billion US dollars.” Many of these drugs have become available without a prescription in recent years, boosting sales by increasing availability and potentially reducing consumers’ concerns over their safety, as over-the-counter medications are considered “safer” than those requiring a prescription. In particular, the PPI omeprazole, an extremely common proton pump inhibitor, should concern physicians and public health policymakers in Thailand. Here, a generic version of the drug called Miracid is prescribed to over 700,000 local Thais and 350,000 mostly Western expats. Options exist for alternative acid reflux treatments which are worth exploring and which do not have the significant downsides of PPI regimens. 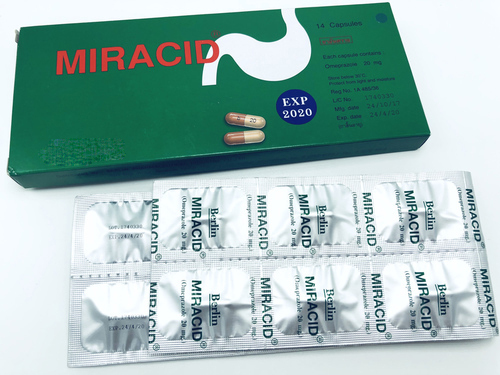 In light of the mounting evidence showing fatal consequences for patients taking PPIs like Miracid, especially over long periods of time, Thai medical providers should consider shifting to new methods for treating GI conditions like acid reflux. IN a broader view, public policy initiatives -- in particular nutrition education, smoking awareness campaigns, and exercise promotion -- can help curb the continued increase of acid reflux cases in Thailand by limiting the proven casual factors explored further below. In the UC – San Diego study, researchers scoured the records of over 40,000 patients who had taken PPIs for the treatment of acid reflux alone, without any combinations with other medications. Those patients’ records were compared to a control group consisting of patients who had been treated histamine-2 receptor blockers (another common acid reflux treatment) to determine the correlation between PPI intake and kidney disease. They discovered that 5.6% of patients taking PPIs reported kidney problems. In contrast, just 0.9% of patients who took histamine-2 receptor blockers reported the same issues. Patients who had taken PPIs were significantly more likely to experience chronic kidney disease and end-stage renal disease, with a 28.4 and 35.5 times more frequent occurrence compared to histamine-2 receptor blocker-treated control group, respectively. The researchers cautioned that, although the correlation between PPIs and kidney disease has been demonstrated in this study, more clinical tests are needed to establish a definite causal relationship. In a previously unknown mechanism of action, proton pump inhibitors were seen to increase specific intestinal bacteria, Enterococcus faecalis, which in turn worsened the subject mice’s liver conditions. A systematic study published in 2012 by the Lancet cited liver cirrhosis as the 12th most common cause of death worldwide. Alcohol abuse is largely responsible for many of these deaths, especially in conjunction with the harmful effects of PPIs now understood by the medical community. In Thailand, public health officials have begun to take notice of the detrimental effects of alcohol consumption by Thais. BioMed Central conducted a cohort study in 2015 of drinking habits in Thailand and their relationship to chronic disease. They concluded that “both occasional and regular heavy alcohol consumption is associated with the growing burden of non-communicable disease in Thailand.” The World Health Organization has concluded that male Thai drinkers aged 15+ consume on average 30.3 liters of pure alcohol annually, making Thailand one of the higher alcohol consumers in Southeast Asia. Scientists have speculated on the potential relationship between stroke and PPI use. In one study, neurologist researchers reported that “Concomitant use of PPI with thienopyridines was associated with increased risk of ischemic stroke”. Thienopyridines are drugs that work on the platelet adenosine diphosphate (ADP) 2 receptors to reduce platelet activity in patients with heart disease or previous strokes. Some studies have disputed these findings. In one cohort study by American gastroenterologists, they found that “prior reports of an increased risk of stroke may be due to residual confounding related to chronic conditions associated with PPI use” – meaning that patients who had taken PPIs were also more likely to have a pre-existing condition that made stroke more likely. More research is needed to fully investigate the causal connection, if any, between PPI use and stroke. South Korean researchers noted in a 2011 Asia-wide epidemiology study an increase in the prevalence of GERD in Southeast Asia to 6.3%-18.3% after 2005. Thailand and all of East and Southeast Asia, they added, still experience lower incidences compared to Western countries, which they attributed to “a general low-fat diet of Asian, their smaller body mass and also their higher prevalence of Helicobacter pylori”. The increase of acid reflux in Thailand, nonetheless, should command the attention of the medical community – especially considering the rapidly changing health-related behaviors and lifestyles of the population. Thai medical providers must treat acid reflux patients with the awareness that some conditions which may seem unrelated to gastrointestinal function have been shown to impair GI function. For example, in this study of asthmatic patients at King Chulalongkorn Memorial Hospital, researchers found that 37.5% of patients with asthma also experienced GERD, an important statistical relationship. Proper control of the condition, the authors concluded, was important for preventing GERD in patients with asthma. Management of underlying health conditions condition plays a critical role in preventing and treating acid reflux. Cigarette use is a proven cause of acid reflux. According to one study’s findings, smokers had a “lower oesophageal sphincter pressure compared with non-smokers”. Smoking rates have decreased in Thailand in recent years to 20.7 % in 2014. However, more work is needed to further reduce the health threat posed by cigarette use. Ample research demonstrates the direct relationship between dietary habits and acid reflux disease. In one study, high carbohydrate diets fed to a test group were shown to increase the incidence of acid reflux disease. Sugar consumption is a major issue in Thailand, warranting health education efforts by public policy officials to decrease sugar consumption by the population. A 2011 population survey explored the evolving eating habits of Thais in recent decades, noting “changes in food consumption and dietary patterns due to the country economic and social transitions since the mid-1980s.” Rapid globalization, increasing incomes especially among middle-class city-dwellers, and the popularity of Western cuisine have altered the eating habits of Thailand immensely. Thais’ “eating patterns have shifted”, the researchers continue, “from a traditional Thai diet – vegetable, rice-based and low-fat diet – to a westernized diet, which is rich in meat, fats and sugars.” Fast-food products, long recognized in the West to be a major source of diet-induced health problems, likewise threaten the health of Thais who consume products from companies like KFC, McDonald's, Krispy Kreme, and others. The same 2011 study which studied dietary habits in Asia also fingered inactive lifestyles as a cause of rising lifestyle-related disease, including acid reflux: “…increasing urbanization, people engage in fewer work-related physical activities and spend more time in very sedentary activities, such as watching TV, surfing the internet, and playing video games”. In a massive cohort study of Thai university students, 44.4% of the males were found to be either overweight or obese, as defined by a body mass index (BMI) of 23 or higher. Studies have shown that the worst health outcomes caused by PPI use come from long-term dependence on the drugs. Short-term use is acceptable and occasionally necessary. However, providers and patients affected by acid reflux should work to develop new strategies for long-term management of the condition. Antacids like Alka Seltzer and Pepto-Bismol, which are safer medications than PPIs, can temporarily relieve acid reflux symptoms. They are widely available in Thailand and affordable. Histamine antagonists like ranitidine are also easily obtained over the counter in Thai pharmacies. They work to reduce stomach acid, making them another option for patients affected by acid reflux. The Ministry of Public Health, responsible for the administration of public clinics and hospitals in Thailand, might consider developing an incentive structure for providers who successfully achieve reduction of acid reflux risk factors in their patients such as weight loss or smoking cessation. This could limit the financial burden on public providers specifically related to acid reflux treatment as well as improving patients’ health outcomes. Most importantly, effective treatment for acid reflux requires addressing the primary causes of the condition at a population level. Thai government agencies, in coordination with NGOs working in health promotion, should allocate more resources to educate the public on the important role that diet, exercise, smoking cessation, and weight management play in promoting optimal function of the gastrointestinal tract and general well-being.